Evolution® systems might look similar to other heating and cooling systems, but don’t be deceived by what’s on the outside. Inside these dependable, high-efficiency products is technology that allows two-way communication between unit and control. For you, that means no longer having to be the exclusive manager of comfort in your home by dictating the rise and fall of temperature and accounting for every moment of being home, away or asleep through programming and regular changes. The Evolution system has the smarts to do some of that thinking for you to help you be more comfortable, but more importantly, to help you save money. And the brain behind it all is the Evolution Connex™ control. When installed as part of a complete Evolution system, it can manage temperature, humidity, air quality, fan speeds, ventilation and zoning — whatever system components you want to throw at it. And it makes it easier for you to create comfort settings and connect with your system at home or away. Because it can communicate with the Evolution system, the Connex control always knows what’s going on with the system and how to ramp it up or down to save money. 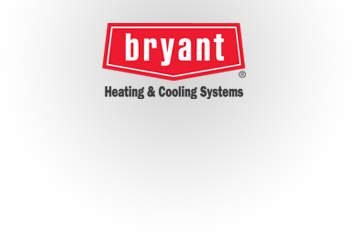 It knows the temperature outside and what the Evolution furnace, air conditioner or heat pump has done each time it comes on to warm or cool your home. And it takes that information to adjust the system to save money while staying within your comfort settings. So even when it’s 75 degrees outside and a perfectly comfortable temperature inside, if the humidity in your house is still greater than you like it, the control will tell the outdoor unit to cool at lower, longer stages so that humidity can be reduced. Once you’ve set your schedule and comfort preferences for the Evolution® system, the Connex™ control will actively manage your home’s temperatures whenever you’re away or asleep. For instance, instead of trying to quickly ramp up heating or cooling to meet your “waking” or “at home” settings, the control monitors the outdoor temperature and system output so it can adjust the time and level of ramp up to save you the most money. And, when installed as part of an Evolution Hybrid Heat® system, which consists of a gas furnace paired with a heat pump in place of an air conditioner, it can also save by choosing between electric heat pump and gas furnace to heat with the most economical energy source for the condition. A Wi-Fi enabled Connex control can let you make changes to your system from anywhere at any time for ultimate convenience. * Because even when your normally predictable schedule becomes unpredictable — you still want to come home to comfort. And because the thing you may have forgotten as you headed down the road to a vacation hideaway was setting a vacation schedule. For these reasons and many more, remote connectivity can be so helpful. But the Connex control is also designed with other conveniences in mind, like a Touch-N-Go® feature that lets you change from “sleep” or “away” settings to “wake” or “home” with ultimate ease. And you won’t even have to think about when a filter needs changing — the control will remind you so you can go right on with your busy life.